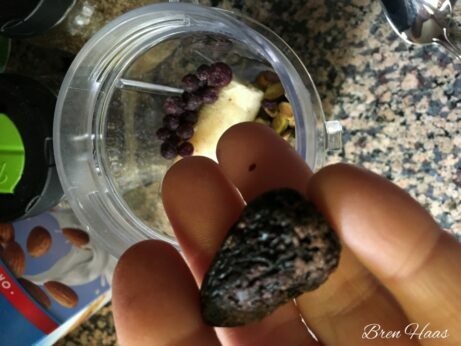 Being told an edible seed is healthy for you and actually finding it at your local grocery store is a true blessing. The next time is figuring out how to add it to your diet or menu plan. 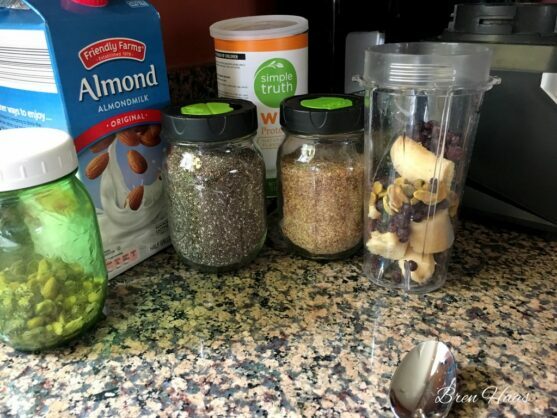 In this blog post I share a super easy ‘Ready Set Go Smoothie Recipe using flax seed. 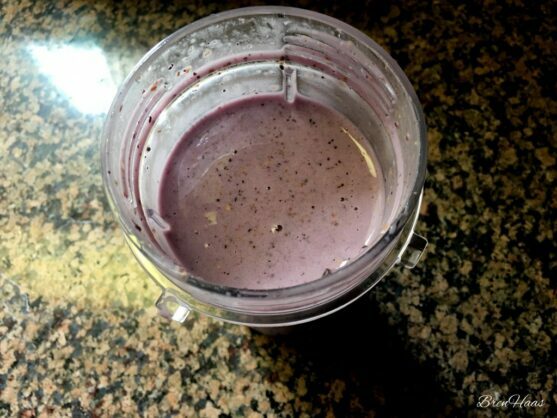 I’ve been throwing a tablespoon of flax see and other good ingredients into my smoothies randomly for a few months. After finally doing some research on how to use flax seed I felt so much better about this recipe. 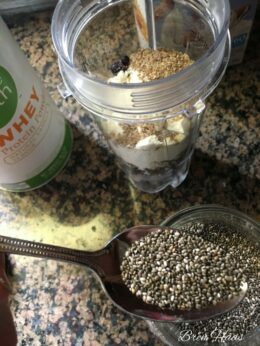 In this video I share my favorite morning smoothie before heading out to my daily workout. This video is on my Bren Haas YouTube Page. Loaded with goodness for folks on the go! Add to the blender and mix up on smoothie mood. I use a Ninja Blender for best results. Below are some of my favorite photos from making this recipe post. 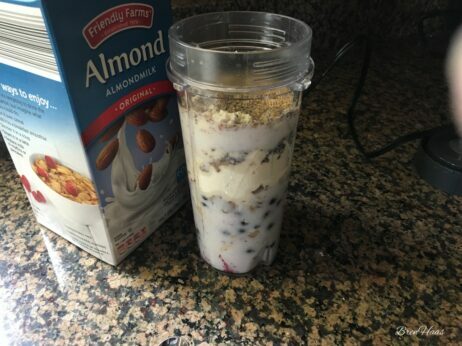 Almond Milk | Pour in last! Have you noticed more healthy seeds at local grocery stores? I am a huge fan of this crunchy peanut butter at my local Aldi. When they stopped carrying it I simply made my own. I will have to share that recipe at another time. Flaxseed has been known to prevent hot flashes according to the Society for Integrative Oncology. The latest research shows that flax seed can help lower the risk of diabetes, cancer, and heart disease most likely because it is a great source of healthy fat, antioxidants and fiber. American Society of Clinical Oncology (ASCO) revealed recently discussed that consuming flaxseed can stop prostate cancer tumors from growing. Lead investigator of the study, Dr Wendy Demark-Wahnefried shared at this event that they were excited that this study showed that flaxseed is safe and associated with a protective effect on prostate cancer. According to a study published in Nutrition Research consuming flaxseed every day will improve your blood sugar. Hard to believe all that goodness is in such a little seed! 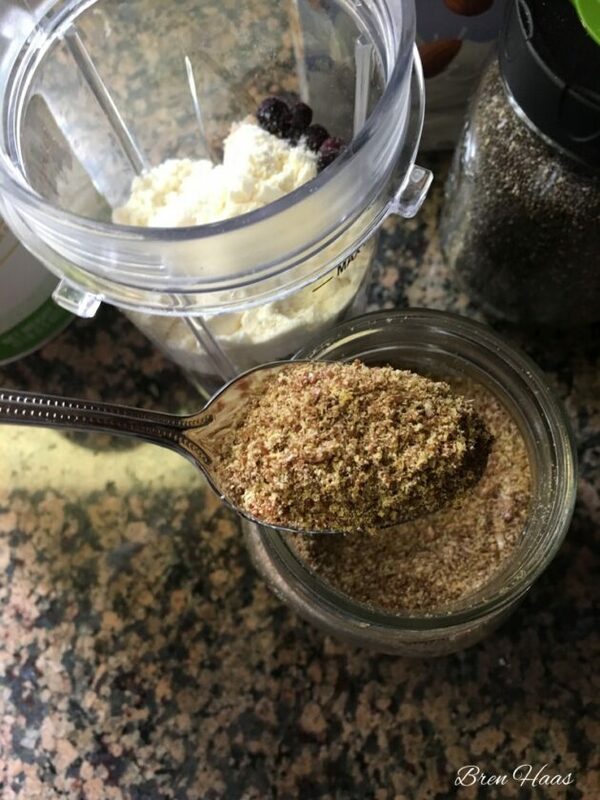 I hope you share with me what you thought about this post and if you have any great recipes using flax seed.